Penny has worked at Bangor University for the past 15 years. Originally graduating from Aberystwyth University, she went on to do postgraduate courses in Education, specialising in Higher Education and later in TEFL (Teaching English as a Foreign Language), EAP (English for Academic Purposes) and ESP (English for Specific Purposes). She has worked overseas as a teacher, teacher-trainer and consultant, doing work in Universities, Colleges and Schools in Japan, Korea, China, South Africa and Central America. 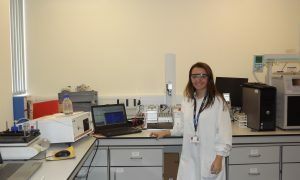 Her work at Bangor University has mainly involved tutoring and consultation work with overseas postgraduate students; writing, developing and directing courses (with specialist areas including Legal and Scientific writing); materials development; developing and expanding consultancy work overseas and some overseas testing and recruitment (e.g. setting up 2+2 programmes in China). She then moved to a new role in the Research and Enterprise Office (REO) as Research Skills Development Manager, working on the Knowledge Economy Skills Scholarship (KESS) Project, from the Academic Development Unit (ADU) where she established the Graduate Skills Programme (transferable skills training for doctoral researchers). This new role involved establishing a Postgraduate Skills Development Award for all KESS participants, at all Universities in Wales. 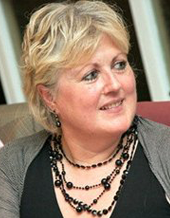 In 2013 Penny was appointed as KESS Wales Manager, leading the project from Bangor with a central team and co-ordinating partner Universities across Wales. 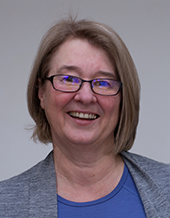 During her time as KESS Wales Manager Penny has established a strong trans-national thread to the project, building a database of expertise (both research and company) across a network of European Universities. 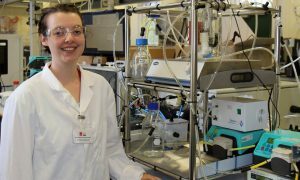 KESS was a well established ESF funded programme, on this basis KESS 2 funding of £36 million ESF for Wales has been announced, to support a further 6-year, pan-Wales operation providing 650+ Doctoral and Research Masters scholarships linking academia and industry through collaborations. As a Teaching Fellow, and Head of the Academy of Teaching Fellows, Penny is still closely involved in the PGCertHE, a programme run by CELT. Her own doctoral research is in the area of Enculturation. Penny delivers staff training workshops in the area of Internationalisation across the institution. Since January 2013 Penny has been Manager of Bangor University’s newly established Doctoral School. 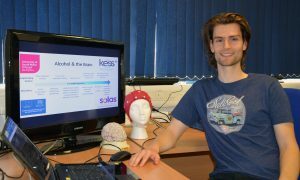 Brian is the KESS 2 Project Co-ordinator, as Bangor leads the KESS 2 project and works with all eight partner Universities. He is operationally based in the finance office section of the Research and Enterprise Office and works on developing KESS 2 project procedures, operational materials and ensuring the adoption of these by KESS 2 staff, partner universities, academics, students and company partners. Brian’s main responsibilities are for all budget related matters, including claims and population of the delivery profile to our sponsor. He is the main point of contact for eligibility, monitoring and compliance matters. 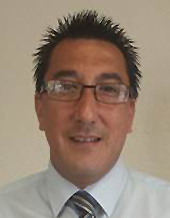 Brian started work at Bangor University in 1988 and has been in the finance office for 29 years, dealing with many different finance related duties. For 23 years, Brian has been managing a large portfolio of research grants and contract projects, ranging from Research Councils, charities, government, company, knowledge transfer partnerships (KTP) and A4B projects. In 2004 he administered the Developing Research Skills Objective One (ESF) funded project, this was followed in 2005 with the Research Skills Training project, also funded through Objective One (ESF) funding; this project was the first collaboration with Aberystwyth University and Swansea University. In 2009, Brian was appointed as Project Administrator for the Knowledge Economy Skills Scholarships (KESS) project, funded through convergence (ESF) funding. Brian is a big rugby fan and looks forward to supporting Wales in the Six Nations, and socialising with fellow supporters. Caroline has been supporting the KESS projects in a busy and dynamic environment since 2011. With Bangor as lead partner of KESS, a key role has been the maintenance of accurate records for all projects submitted for KESS funding. Current support of the KESS 2 team includes support of the governance process, financial support and assisting the monitoring officer with maintenance of data records used for further statistical analysis, data representation and reporting to the funding body and stakeholders. KESS 2 welcomes new challenges and Caroline is looking forward to working with the Sustainability Lab at Bangor to embed the Well-Being of Future Generations Act into all aspects of the KESS 2 sustainability cross-cutting themes for the Bangor projects. Caroline works closely with the KESS 2 Wales Manager, colleagues and partner HEIs to support the continuing success of KESS 2. She is proud to be associated with the positive energy and opportunities generated through KESS 2 projects and the role they play in developing career pathways of some of Wales’ most talented graduates in association with their company partners, so the funding of KESS 2 gives her great optimism for continued future growth in Wales. Caroline is a University of Wales Environmental Studies graduate. She has a practical outlook to deal effectively with problems as they arise with appropriate solutions. In her spare time, she is working at improving her Welsh, enjoys spending time with family, hill walking and paddle sports. 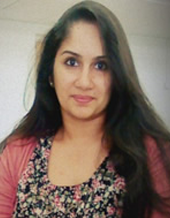 Aashu joined Bangor University initially as a student to do her second Masters in Business Administration (MBA- Information Management) and graduated with a distinction in 2013. She got the opportunity to join the Research & Enterprise Office as part of the KESS project in 2014 and since then has supported the management of Skills Forge for KESS PhD and Research Masters projects. Her responsibility as Doctoral School administrator started in December 2015 and has given her the opportunity to work closely with the Doctoral School manager in supporting doctoral administration, training and development. Her duties include co-ordinating the BU-wide Doctoral training programme and promoting the Doctoral School within Bangor University and beyond. She works with the Doctoral community within the University (PGR students, academic supervisors, Directors of Graduate Studies) and also manages the Doctoral School web pages and social media presence. Her background is in Higher Education IT and Management. After her first Masters in Computer Applications from the College of Engineering Trivandrum (CET), India, she worked as a computer instructor in institutions in India and Oman. Aashu then worked for the Middle East College (MEC), Oman, a reputable Higher Education Institution affiliated to Coventry University (UK) as a Lecturer in Computer Science. While at the Institution, she also took up the role as Senior Officer for Quality Assurance & Policy Officer, co-ordinating and managing a variety of projects related to Audit and Quality Assurance in Higher Education. All these experiences helped her gain valuable insights related to higher education administration and management. Mererid is based with the central KESS 2 team at Bangor University and supports the marketing, publicity and visual communication aspects of the project. 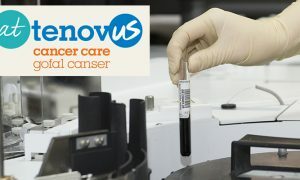 This includes capturing and sharing KESS 2 news and success stories, co-planning key events with the team and generating new marketing materials whilst monitoring the branding style and consistency across the board. Alongside the KESS 2 Wales Manager, Mererid is a point of contact for KESS 2 partners Wales-wide in terms of marketing approaches such as social media, information sheets, posters, the website, branding guidelines and helping to coordinate marketing efforts as and when required. 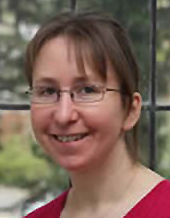 Mererid has worked at Bangor University since June 2013, joining the KESS team in December 2014. 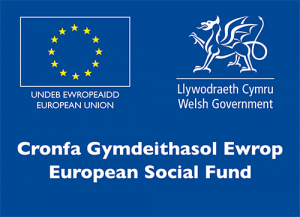 Having previously worked on the EU funded programme GO Wales, her experience of externally funded projects of this kind applies itself well when working to communicate KESS 2’s fundamental goals and principles. Having gained her BA (hons) in Graphic Arts in 2011, Mererid’s area of expertise allows her to combine her background knowledge with visual communication and design skills when creating new material for KESS 2, taking on a creative approach to the marketing and publicity of the project. Outside of KESS 2 Mererid pursues the visual arts, working on a variety of personal and collaborative projects. 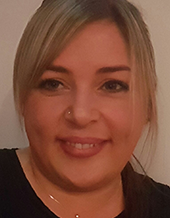 Sandra is responsible for monitoring the progress and outcomes of the KESS 2 scholarships, for Bangor University and other Welsh universities partnered with the scheme. She deals with the data management system for the project to capture and report outputs for the Welsh European Funding Office (WEFO), and is required to assist with information for verification checks and audits. She also co-ordinates inductions for students, academics and company supervisors. Sandra’s been with the University since 1990. She spent seven years in the Finance Office and then as Senior Clerical Officer and Project Support Officer for the Research and Enterprise Office. She’s worked with ESF funded projects for the Objective 1, 3, 5b and Convergence programme areas, primarily taught Masters scholarships. The most recent were Access to Masters (led by Swansea University) and KESS (led by Bangor), these collaborative ESF projects fund Masters projects (ATM) and Research Masters and PhD projects (KESS). Her experience includes assessing eligibility for scholarship applications, preparing contracts, developing and maintaining data systems, managing student time sheets and stipends, financial and non-financial monitoring, and reporting for WEFO, audits and external evaluators. Working in the finance office, alongside Brian Murcutt, Dawn provides administration and financial support on the KESS 2 project. Dawn’s main responsibilities include preparation of the periodic claims for Bangor’s provision, issuing and overseeing invoices for KESS 2 company partner cash contributions, checking students’ eligibility and co-ordinating the timely payments of the students’ monthly stipend allowances following submission of their timesheets. She also administers the periodic budgetary information for both students and academics and provides support for the KESS 2 audits and verification checks. Dawn is currently studying towards her AAT qualification, to further develop her skills and knowledge. In her spare time Dawn enjoys spending time with her family and pets. She’s an avid fan of her son’s Rugby team (RGC – AKA The Goggs) and as a family they enjoy going to as many games as possible to show their support.